Is there something we can do to create more harmony in the world today? Absolutely! Quantum Physics has shown us that we are not separate, but rather interconnected. This means when I am able to stay in my conscious mind, then it is easier for all persons I interact with to stay in their conscious minds, as well. This supports all of us to move and respond to life from love instead of fear. Since stress activates the subconscious, how can we stay in our conscious mind when experiencing stress? The I Create What I Believe! (ICWIB!) 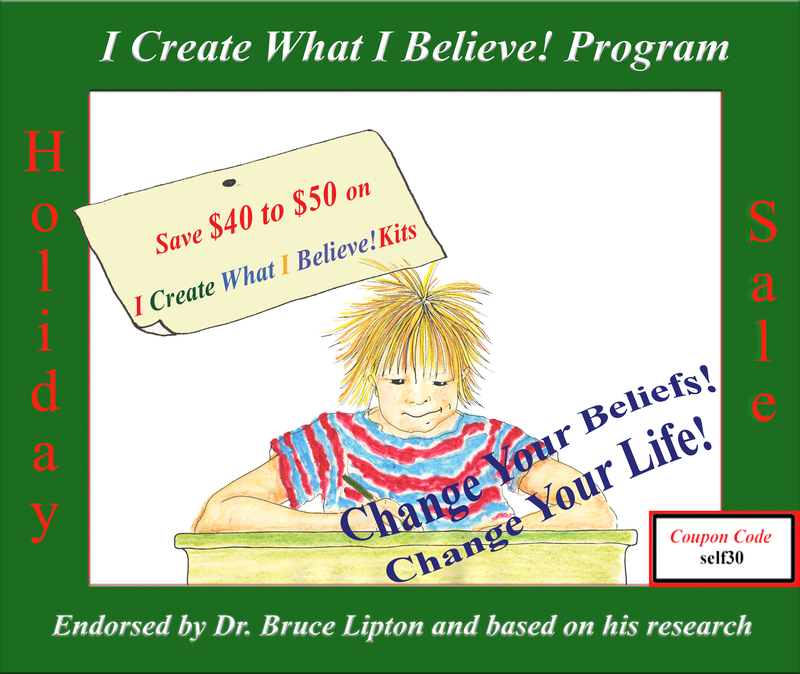 Program, endorsed by Dr. Bruce Lipton and based on his research, is a fun and scientifically sound way for children and adults to reduce stress, reactivate the conscious mind when experiencing stress, and create more harmony within themselves and in their lives. If you are new to I Create, I invite you to explore some of the FREE ICWIB art activities and videos. Click here to order your kits now! If you value these ideas, Like us on Facebook and share it with others to enjoy. If you would like to read previous posts, you can find them under resources.